Like the Dea of Butrint, the Beauty of Durrës (Bukuroshja e Durrësit), dates back to the 4th century B.C. However, it was as late as 1918 that Austrian archaeologist Camillo Praschniker discovered the masterpiece. 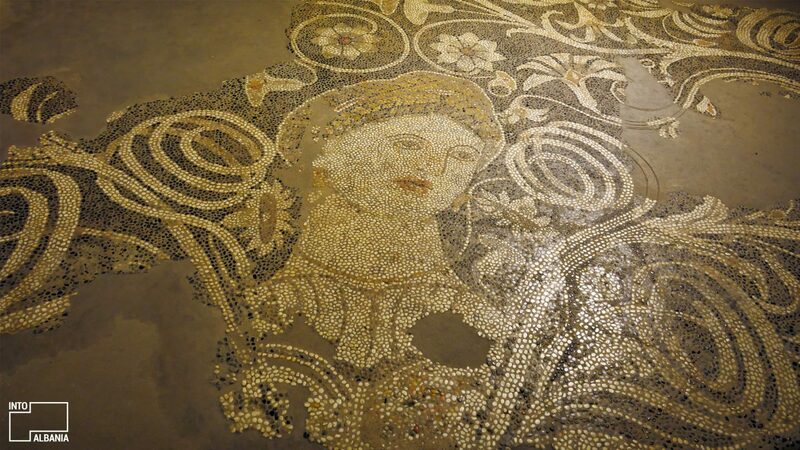 The foreign scholar first found this ancient mosaic within the foundations of an old house in Durrës. The conclusion of the Second World War led to its proper uncovering and cleaning and, in 1947, it finally became one of the museum’s centerpieces. The main figure of the intricate, 9 m2 oval-shaped mosaic is a young maiden, harmoniously encircled in flowers. Hundreds of mall stones in vibrantly rich red, white, black, blue and orange hues make up the entire composition of this mosaic. Its modern design and rich colors are perhaps what gives this work a contemporary feel. The maiden’s face and its expression are timeless. So is the harmony between the figure and the cornucopia of flowers in the background. In general, Albanian art boasts beautiful and intricate mosaic floors (one of the most beautiful is found on-site in the Butrint Amphitheater). These mosaics have been characteristic elements of Albanian public buildings or private homes throughout the centuries. 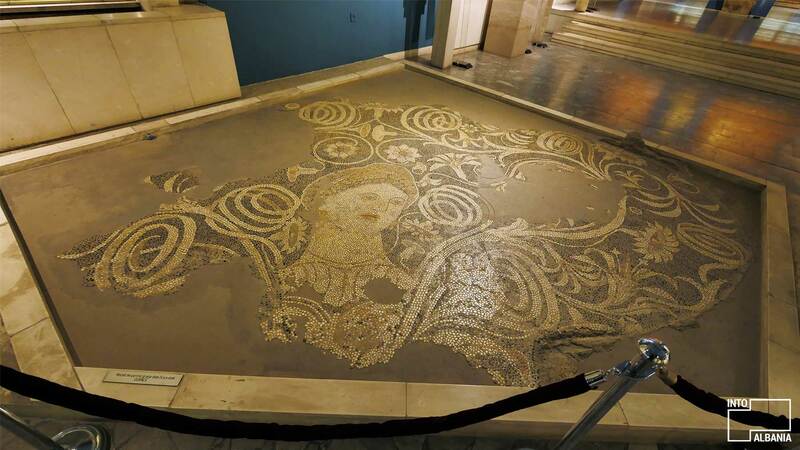 The Beauty of Durrës mosaic is located at the National Museum of History.